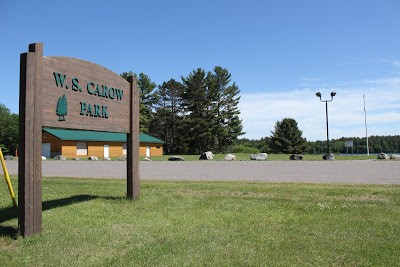 Carow Park is the Mercer Town park located on Grand Portage Lake 2 miles East on County J in Mercer. The park features a picnic area with tables, a public pavilion, restrooms, playground and swimming beach. There area also two Baseball parks directly across the street. Many community events take place at Carow Park including Lupine Junefest, the 4th of July Celebration, and the Lions Ice Fishing Jamboree. The park pavilion is available for public us by making reservations at 715-476-2403 for your party or event.